June and July sped by in a flash, and before we know it, Halloween will be a distant memory. That means it’s nearly musical season! 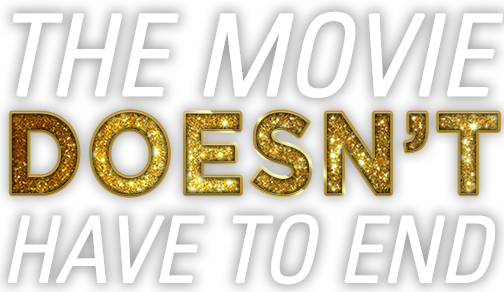 Every year there’s a toe-tapping, soul-lifting musical that breaks into theaters and then into our hearts, leaving us singing along to the soundtrack at full volume all year long — or, at least, until the next one is released. Some popular year end musicals released the past few years include “Les Miserables” and “The Greatest Showman”. Obviously, anytime Hugh Jackman shows up, audiences are in for a good time. While 2016’s “La La Land” took home six Academy Awards, writer and director Damien Chazelle is back with a new non-musical that’s nevertheless likely to be a strong awards contender. “First Man” stars Ryan Gosling in the story of the first men on the moon. There’s no shortage of end of the year musicals in 2018, however, and two of them even take place during Christmastime! Bradley Cooper makes his directorial debut with the musical remake “A Star is Born”. What’s more, the four time Academy Award nominee stars alongside singer songwriter Lady Gaga. Cooper’s character, Jackson Maine, is a grungy, alcohol-dependent country singer who stumbles upon a talented cabaret performer, Ally (Gaga). Ally hasn’t had much luck breaking into the music scene, but that’s all about to change with a big shot like Maine promoting her. “A Star is Born” will definitely be a must see for musical lovers, especially those who enjoy Lady Gaga’s smokey vocals. Directed by Lasse Hallström (“My Life as a Dog”) and Joe Johnson (“Captain America: The First Avenger”), Disney‘s “The Nutcracker and the Four Realms” follows the timeless Christmas classic about a young girl, Clara, who finds herself in a magical land. There, she must defeat the evil Mouse King by enlisting the help of the Nutcracker and the Sugar Plum Princess. The all-star cast for dance-fueled fantasy tale includes Keira Knightley, Mackenzie Foy, Eugenio Derbez, Richard E. Grant, Helen Mirren and Morgan Freeman, in addition to ballet prodigy Misty Copeland. Even if you don’t know anything about music and feel totally behind the curve, it’s a safe bet that you still know a few Queen songs. With “Bohemian Rhapsody,” 20th Century Fox has set Rami Malek (“Mr. Robot”) as the late, great Freddie Mercury. Queen’s frontman, Mercury wowed audiences everywhere with his flamboyant outfits and awesome vocals. A true pop music icon, he stayed true to himself through and through, until the very end. Some moviegoers avoid certain musicals because they just can’t get into the songs. Considering the accessibility of Queen, though, “Bohemian Rhapsody” will likely have something for everyone. Who isn’t delighted at the prospect of a comedic zombie apocalypse story set during Christmastime? Add a high school aged cast and musical numbers interspersed between all the undead brain eating and you’ve got a truly unique holiday musical. Directed by John McPhail ( “Where Do We Go From Here?”), “Anna and the Apocalypse” stars Ella Hunt (“The More You Ignore Me”) in the title role. Welcome back to your childhood! Emily Blunt — who previously sang in Disney’s “Into the Woods” and who recently made as little noise as possible in “A Quiet Place” — takes on the role made famous by Julie Andrews. Given the popularity of the original “Mary Poppins,” this sequel is a practically perfect choice for families seeking to add some musical fun to their holiday merriment. It also doesn’t hurt to have Lin-Manuel Miranda in the mix! What films are you most looking forward to seeing on the big screen this holiday season? Tweet us your thoughts @TheMoviebill! Mike Mignola's paranormal investigator returns to the big screen April 12.